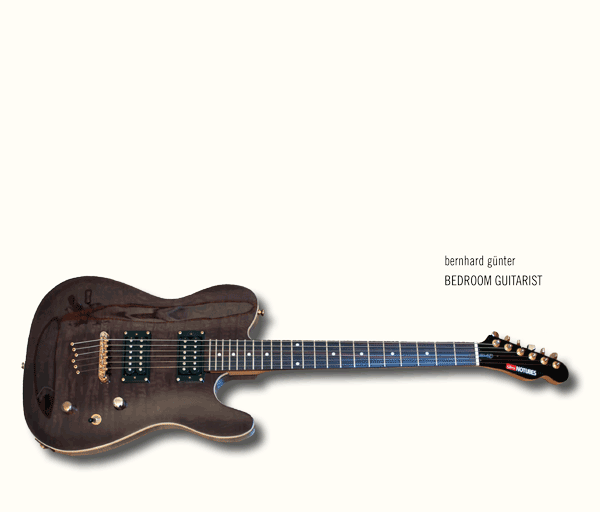 Bedroom Guitarist is Bernhard‘s first guitar album after more than 40 years of playing the electric guitar, comprised of four solo improvisations actually recorded in the bedroom, and using very simple means. Un Peu de Neige Salie [ Origin ] is re-release identical to the original release of the album on the SELEKTION label in 1993, albeit with a new cover. We learned today that Matt Shoemaker, an immensely gifted artist whose two first albums were released on trente oiseaux, has passed away on 12 August. This is deeply shocking news – born in 1974, Matt lived to be only 43 years old. His death is a great loss for the music community. In honor of Matt‘s life and art, we offer his albums on trente oiseaux for free download on our site and on Bandcamp. Welcome to trente oiseaux's new website! Bernhard has built the new website with the goal of giving it a much more simple, clearer structure, making it easier to navigate, and last but not least making it look better. The site is not quite complete yet, but fully functional. It has moved to a new server und uses a different CMS ( Joomla! 3.7 with Gantry 5 instead of Drupal 7 in case you're interested in that kind of things ). The new site lets visitors listen to tracks and excerpts of all albums, and offers them to create a password-protected account as well as shopping as a guest. The price of CDs has gone up to € 11.50 from € 9.99, but as it now includes free shipping, CDs have in fact become less expensive. Specifying shipping cost to all possible destination and for various possible numbers had created a lot of confusion, and there were also quite a number of customers who simply didn't consider that shipping the CDs might have to be paid for. The new, simplified procedure ends all that. 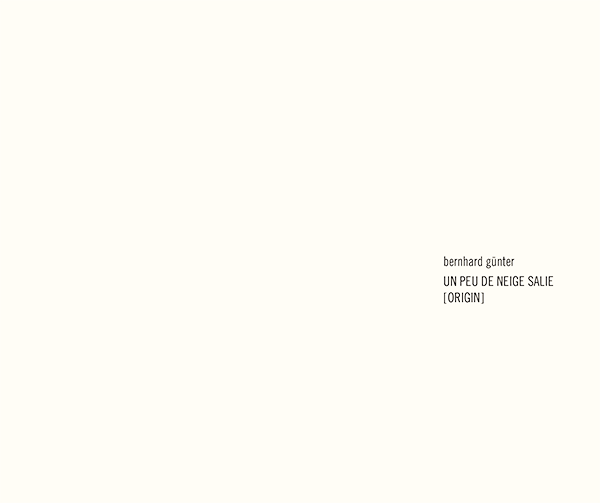 Détails Agrandis [ Origin ] will be a re-release identical to the original release of Bernhard's second album on the SELEKTION label in 1994, albeit with a new cover. As for Un Peu de Neige Salie , different interations of Détails Agrandis have been re-released on different labels over the years, and so it seems a good idea to make the original available again. Music for Compilations will comprise pieces of music that Bernhard created for various compilations ( which are not available any more ) between 1995 and 2009, and that are hard to find. The rest of the year is planned to be dedicated to releasing music actually created in 2017. Trente oiseaux was founded by Bernhard Günter in November 1995 and began releasing ground-breaking work by artists like Francisco Lopez, Steve Roden, Reynols, Matt Shoemaker, Richard Chartier, Japanese Duo Kuwayama/Kijima, Tomas Phillips, Keith Berry, Bernhard himself, and quite a few more. Bernhard never hesitated releasing a first CD by an hitherto unknown artist when he considered their work worthwhile. The label built a solid reputation among listeners of contemporary electro-acoustic and improvised music and was arguably an artistic success. In spite of a world wide net of distributors and good reviews in numerous publications, it wasn't, however, as successful economically. So when it became clear that sales weren't covering cost any longer ( invoices not paid by distributors didn't exactly help ), the label stopped releasing CDs by the end of 2005 after a short period of releasing CDRs. Bernhard reluctantly decided to sell out the remaining stock of CDs and call it a day for trente oiseaux. Then, 13 years after it was founded, trente oiseaux returned as a web label distributing music by download exclusively. The technological means nowadays available make it possible to return to releasing music without the immense financial risk a label selling physical sound carriers can incur, and Bernhard was more than pleased to see his label become active again. The first web releases on trente oiseaux comprised a couple of Bernhard's albums no longer available on CD, Bernhard first album released only on the web, and the CDR releases mentioned above are also coming back as web releases distributed by download. Simon Whetham's 'Understory' was trente oiseaux's first new web album. InJuly 2009 trente oiseaux released 'Tori no Kaigi', a compilation presenting a selection of contemporary electro-acoustic and improvised music by fine artists from all over the world. Tori no Kaigi consists of four individual albums and ca. 50 pages pdf booklet available for download from trente oiseaux's website. In 2012, Bernhard designed a new website for trente oiseaux, installed an online shop and added his new personal website, and in September 2016, trente oiseaux having been around for 21 years, it was given a spring cleaning and yet another fresh start. The label has since released nine albums, two more are in the pipeline.